No posts lately because I’ve been away for a very long time, on two and a half different tours – I think I worked out that in the space of eight weeks (I’m rounding up), I had exactly four days off in the middle, and one day off towards the end. Then I came home and collapsed… oh wait, no, I went and did a concert in Cambridge. Then I came home and collapsed. But I’ve been home for a couple of weeks now, and the garden is coming along (thanks to Mr C’s new fascination with it – hurrah! ), and I’ve been doing concerts locally for the last week or two, and all is right with the world. On Friday and Saturday there’ll be a revival of the production of Dido and Aeneas I was in back in February, which should be fun and satisfying (if my voice actually comes back – but that’s a separate issue). Search “Opera Lyrica” to find it. There will be photos from tour, possibly. 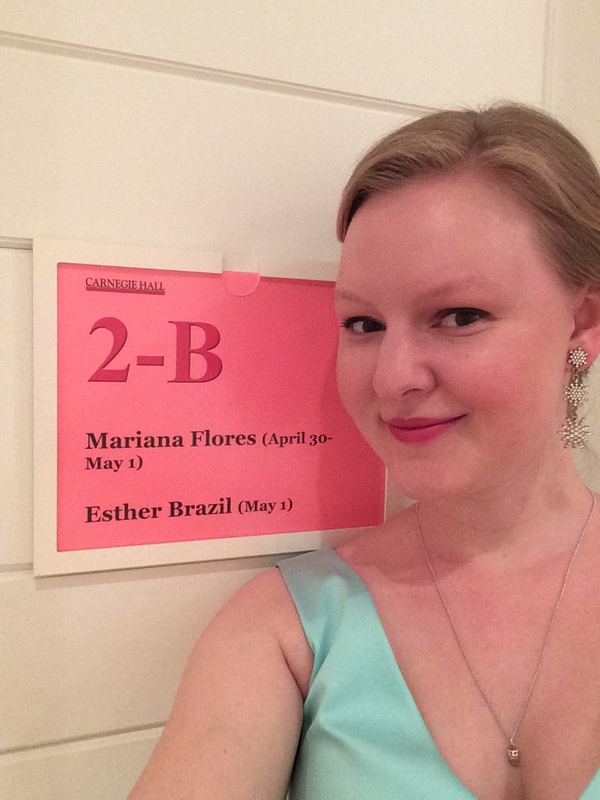 But for now, one piece of evidence that I was really in Carnegie Hall (below). More soon, including some thoughts on some books. Sunburn courtesy of the San Francisco Botanical Gardens, which I visited about two days before this concert.